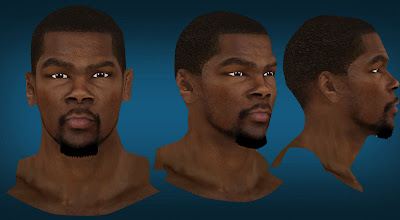 Description: This NBA 2K13 patch adds a new cyberface for Kevin Durant of the Oklahoma City Thunder. This version has a mouthpiece and longer goatee / beard. Note: Go to Options > Manager Roster > Edit Kevin Durant > Add headband to enable the mouthpiece > Save the roster.